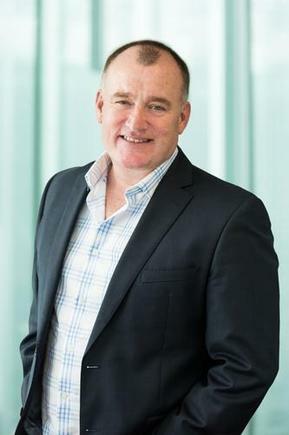 Crown Company Network for Learning (N4L) is embarking on a national upgrade of its Managed Network for schools across New Zealand. This is the first major refresh of the Managed Network since N4L began connecting schools at the end of 2013. The Government-funded Managed Network provides internet services for more than 800,000 students and teachers across New Zealand. N4L builds and manages these services, reducing IT complexity for schools, freeing up resources for teaching and learning. The upgrade, to start next month, is designed to meet the schools’ changing needs around internet capacity and security. 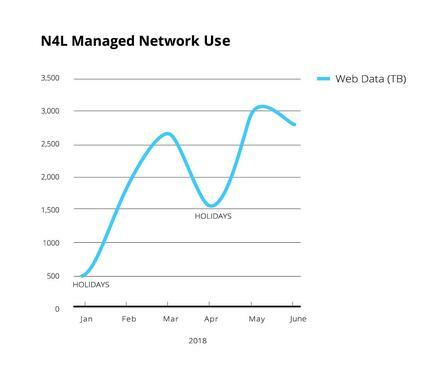 The Managed Network upgrade is a key part of N4L’s new four-year company strategy and is expected to be complete by October 2019. It’s essential that the Managed Network continues to evolve to meet the needs of today’s learners now and in future, says N4L CEO Larrie Moore. “Our role is to provide schools a smart and safe way of accessing the internet students need for learning. Internet safety is paramount and we need to ensure our technology remains built to a high standard, and is also fully supported to meet the unique needs of schools,” says Moore, in a statement. In August, N4L will appoint an initial panel of IT support companies with extensive experience supporting schools to help ensure the rollout is delivered in a timely and seamless manner with the right levels of support provided along the way. Schools will be transitioned to a combined firewall and internet filtering solution provided by cybersecurity company Fortinet. The enterprise-grade solution, which is currently used by other schools, governments, and businesses across the globe, will be centrally managed by N4L and part of the wider Managed Network services offering. The rollout schedule will be developed soon after, and shared with schools well in advance. N4L says schools will benefit from more robust protection against online threats, such as phishing and ransomware; an easier way to get more bandwidth, and improved internet filtering tools which can be modified to accommodate the needs of individual classes and students. Further, the upgrade will better equip schools to manage attempts to bypass their internet filtering with VPNs (Virtual Private Networks); and provide smart reporting tools to better understand and manage student internet use. Mt Albert Grammar School (MAGS) in Auckland was among the first to transition to the upgraded Managed Network as part of a pilot run earlier this year. "The upgraded Managed Network has been a game-changer for us,” says Elise Goddard, director of e-learning. “We've noted a substantial improvement in our internet performance and the ability to intercept unwanted internet traffic. "It is also providing us with effective tools for dealing with VPNs. Students using VPNs to circumvent internet filtering represents a growing area of concern - not only do they consume much of our school's bandwidth but they also impact student welfare." Rural Tauhoa School, situated along the Kaipara Coast Highway, was also part of the early Managed Network upgrade programme. "As a small rural school, we don't have the resources to keep up with the latest filtering and safety technologies so it's great to know that N4L takes care of this for us, upgrading schools when needed, so we can focus on educating our kids in a safe online environment,” says school principal Vivienne Goldsmith. Schools are consuming more data: Schools consumed more than 12 petabytes through N4L’s internet filtering tools during the first two school terms of 2018 (Jan 29 – July 6); almost double the amount of data consumed during the same time last year. More than 374 million websites, and 118,000 viruses and malware threats were blocked across the Managed Network during the same timeframe.